In an inclusive, engaging atmosphere, students are invited to create with aerated cement, recycled paper clay, mixed media, encaustics or basic art welding. 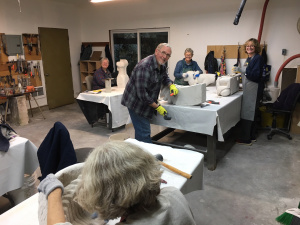 Each class holds both beginners and accomplished artists. Classes are small enough to make it viable for each maker to follow their personal direction. Nurturing the vision in each student, respect is given to the individual processes, while students put their expressions into form. When opening to one’s creativity, resistance can be pretty powerful. Fear of your creation not being ‘good enough’ is one of the loudest excuses not to do it. It is a powerful thing to risk putting into form something that has only been thought of. The classes are complete with both a teacher and students that are there to support you as you as your progress unfolds. All tools are supplied. Work is from factual realism to the complexity of abstract. 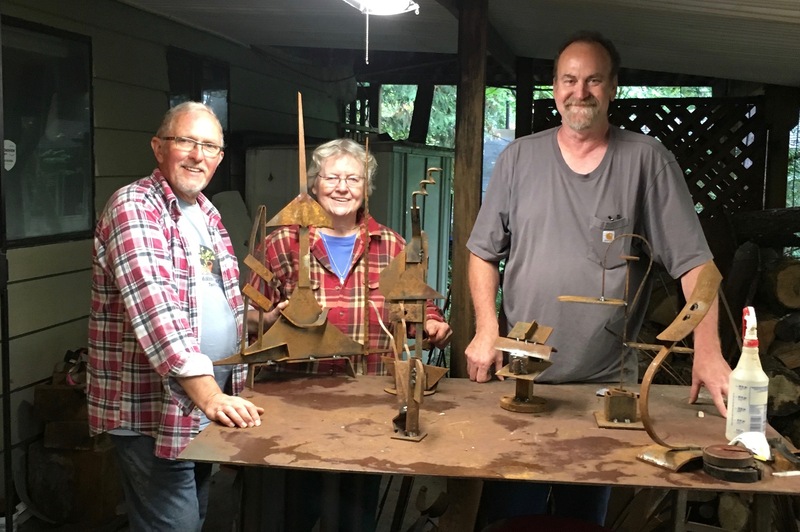 Murphy’s Studio, 4495 SE Aldercrest Road, Milwaukie, OR. 97222. Classes are held on Sunday afternoons from 2 to 4:30 and quite often run over due to the fact that people want to stay longer. 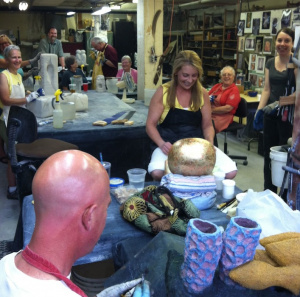 Open studio for students is available on Friday afternoons from 2 to 4:30 at no charge. In this class you will be introduced and become proficient at Mig welding. Oxo-Acetylene torch, plasma cutter, angle grinder, abrasive grinding wheels, metal chop saws and a metal nibbler will also be introduced. To begin, some steel will be provided, but you’ll need to bring in your own steel scraps to work on. Steel rods for the oxy-acetylene torch will be provided. Classes are on Friday afternoons from 2 to 4:30. Classes are limited to 4 students at a time for safety’s sake. There is usually a short waiting list to get in.